Since iOS 11 public beta released, lots of users choose to get their iOS device updated. But in this process, a part of users accidently lost their important data due to improper operation. Among those who have not got a backup files, how to recover iPhone data without backup in iOS 11? Follow this article and find solutions. 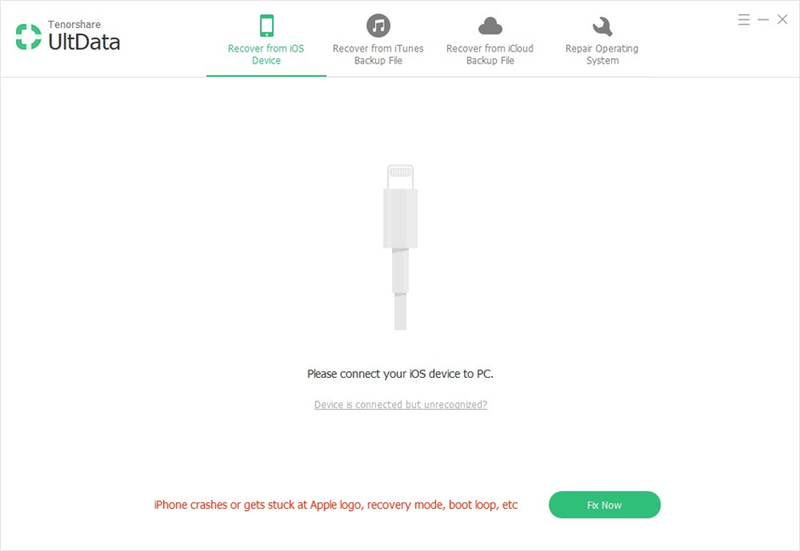 After download iPhone Data Recovery and install on your PC/Mac, you should first run the program and connect your iOS device with your computer. Then you will see the interface below. You can select what kind of data you need to recover, or just select all as default. Then click "Start Scan". The process may take you minutes, it all depends the files size of your iOS device, when the process done, the result will be displayed. At this stage, only lost contacts, messages, notes can directly recover to iOS 11/10.3.3/10.3.2 iPhone/iPad/iPod. As we all know, iTunes only support to restore iOS device with backup files and iTunes all surely cover the old data and files on your iPhone/iPad/iPod, which means we will take the risk to lose other files. Also, if users choose to use the old backup files to restore their iOS device, iOS 11 will also downgrade to the previous iOS system. Thus, iPhone Data Recovery offers other two modes of recovering lost iOS files, which are "Recover from iTunes Backup Files" and "Recover from iCloud Backup Files". If you are lucky enough to get a backup file of previous iOS version. We also suggest you to recover the data by using iPhone Data Recovery. For users who choose to recover from iTunes backup files. You should launch iPhone Data Recovery and the program will automatically detect the local backup files for you. And the following process is kind of like what we have done in the first method which is without backup. 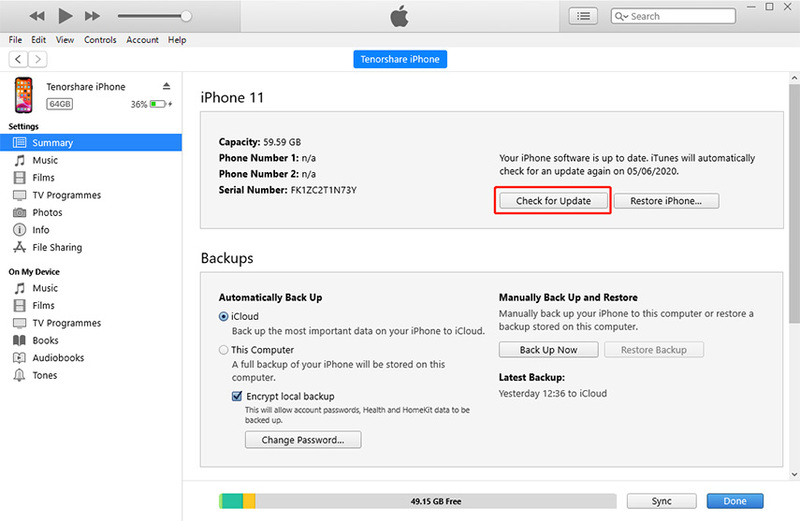 For users who choose to recover from iCloud backup files, you are required to sign in your iCloud account, and iPhone Data Recovery will list the backup files for you. Pick up one you need and follow the steps. 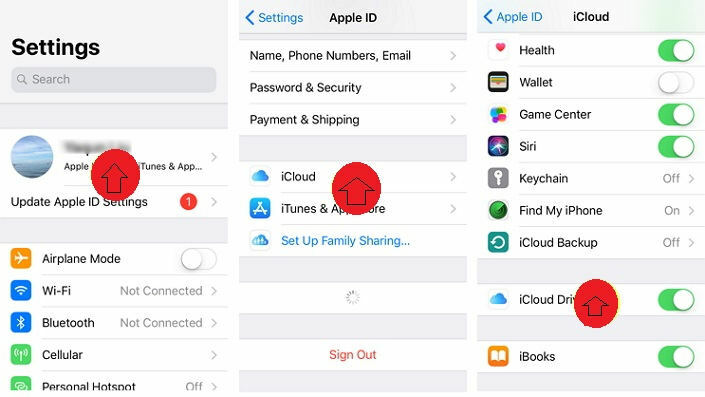 That's all about how to retrieve iPhone data without backup after iOS 11 update, the solution also works on iPad, iPod, as well as other version of iOS system. Don't hesitate to have a try.